Please consider becoming a sponsor of this event to maintain reasonable costs for all. Sponsors will be recognized at event and on event announcements, and may setup "booth" area with promotional materials. Includes one dinner admission. 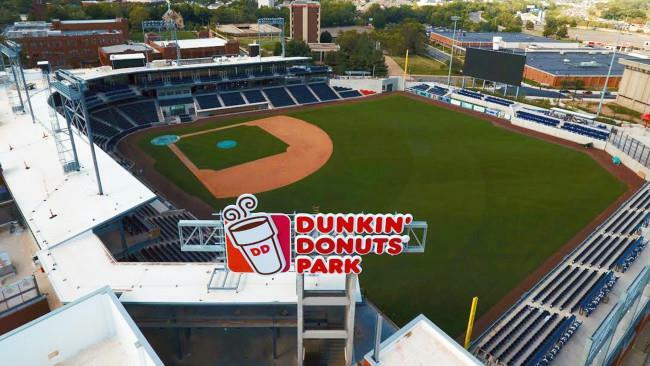 Join us at the new Dunkin' Donuts Park, home of the Hartford Yard Goats AA baseball team, for our annual dinner meeting showcasing the new stadium. Our event begins at 5:30 PM with social hour, followed by buffet dinner, brief business meeting, and our keynote presentation. Meeting will be held in the YG Club, a 7,000 square foot indoor space located behind home plate. There is no ballgame on this day. Our event will include a stadium tour AND use of indoor batting cages (from 5:30 - 6:30 PM). Michael Freimuth and Sean Fitzpatrick will discuss how recent publicly-supported redevelopment projects and venue enhancements are attracting an infusion of private investments in Hartford and the greater Hartford region. Please consider becoming a sponsor of this event to help maintain reasonable costs for all. Sponsors will be recognized at event and on event announcements, and can setup "booth" area with promotional materials. Dunkin' Donuts Park, 1214 Main Street, Hartford CT, 06103. For directions, CLICK HERE. Use the YG Club entrance (Main & Pleasant) next to Aetna Community room.